Perfectly hydrated and moisturized skin looks healthy and beautiful! 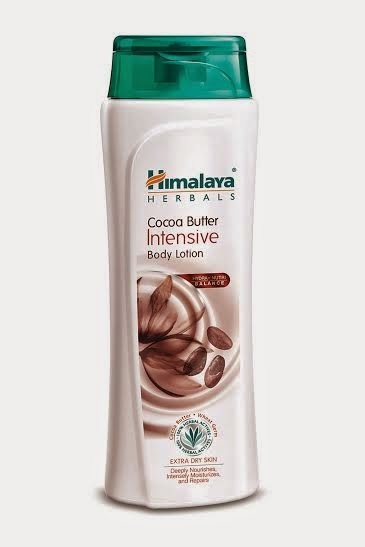 This winter, pamper your skin with Himalaya’s new range of body lotions that protects and nourishes your Enriched with a special hydra-nutri balance and a perfect blend of herbs, the new range comprises of Cocoa Butter Intensive Body Lotion, Nourishing Body Lotion, Aloe & Cucumber Refreshing Body Lotion and Soothing Body Lotion. Germ Oil that repairs and boosts skin’s elasticity. The new Soothing Body Lotion has Grapeseed and Almond Oil that soothes, softens and nourishes skin. A perfect solution for smooth and supple skin. Pamper Normal Skin Himalaya’s Nourishing Body Lotion protects the skin from pollution and dry weather. Natural ingredients like Winter Cherry and Aloe Vera provides nourishment and moisture. Himalaya’s Aloe & Cucumber Refreshing Body Lotion is a daily-use body lotion enriched with Aloe Vera and Cucumber that leaves your skin smooth and refreshed. The body lotions are priced at Rs 80 for 100 ml (each) and Rs 140 for 200 ml (each) and are available across all retail outlets and exclusive Himalaya stores. I am currently trying their honey body wash and oh boy! struggling to find the time to write. I hope the cocoa butter is also available over here because I want try and that I need to replenish my stock.